Being fourteen can be a time of constant surprises. Some pleasant, some terrifying. But then, all life is a surprise to me; even being 87 can have its moments. My fourteenth birthday in 1939 was overshadowed by the growing certainty of war. 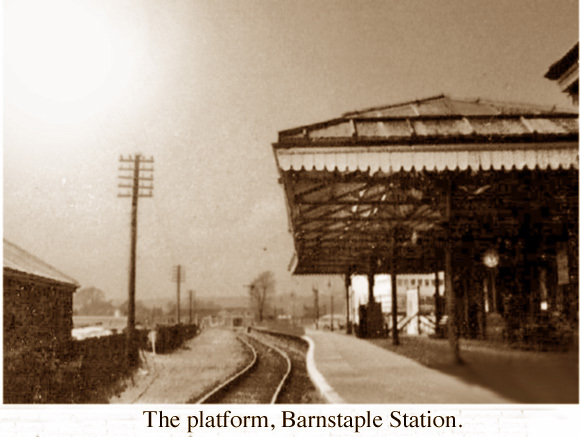 My parents arranged for me to leave our north-London home and be looked after by a family in Barnstaple, North Devon. One of my first thoughts was to wonder if there was a girl in this family; I was beginning to discover that girls were different. Excitingly different. The idea of being under the same roof as one was stimulating. As the train slowed at the Barnstaple platform I stood at the corridor window. There was a small crowd waiting there. Beside one woman I spotted a young girl with auburn hair loose round her shoulders. I clambered down to the platform with my suitcase and gas mask and looked for them. I couldn’t see them. Nobody waved to me, and panic began. Then I saw them. They were coming towards me, the woman smiling, holding out both hands to me, the girl looking shyly away. Her name was Joan. This thirteen-year-old sat opposite me at the tea table late that afternoon. We caught each others’ eye once or twice. I felt my face growing hot and quickly stirred my tea. I found I was using my knife. They all laughed, then looked as though they wished they hadn’t. Conversation struggled with embarrassment. The friendship came to nothing. We didn’t even get to holding hands. Within three months, shortly after the bombs started falling, I was back in north London again, a short-trousered, mixed-up kid unable to cope with the combination of homesickness and adolescence; every time I shut my eyes I saw Joan’s face again, the bright eyes, warm-glowing hair. But I was never to see her again. A week or two ago I received an email, a simple message but one that nearly blew a hole in the top of my skull. The man said he had seen something I had written about my wartime experiences, including that brief evacuation to Barnstaple. He knows Joan very well. She is his grandmother. This entry was posted in Autobiographical on 12/09/2012 by Paul.